Worn by tide and time but still hanging about on the beach..... In a small Cornish village by the sea, two vegans discuss life, light, music, surf and what they are going to have for dinner. Why buy chocolate when you can make it? The ingredients list on some shop bought chocolate bars make chocolate far more complicated, less vegan and far less healthy than it needs to be and if you want pure, honest to goodness chocolate treats then making it yourself is the best and cheapest option. After all, those raw chocolate bars are so expensive too. 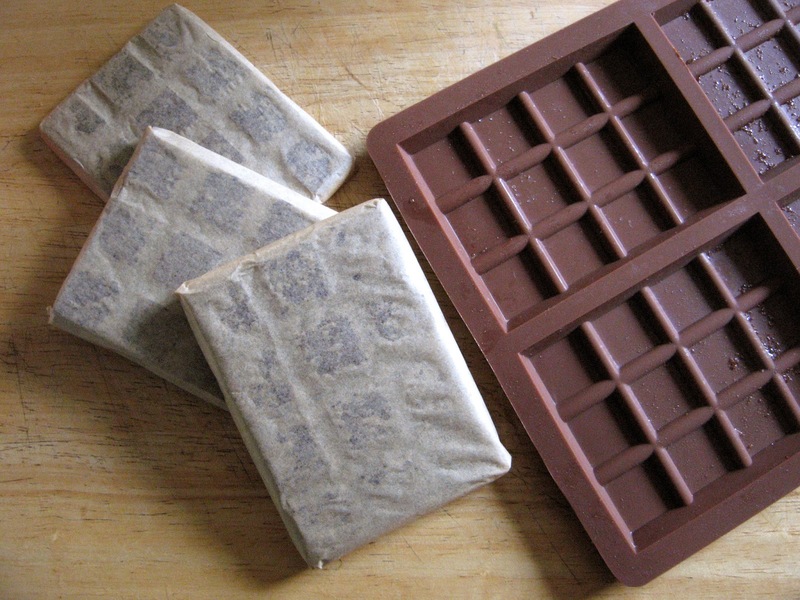 You can make your chocolate as raw as you like depending on what ingredients you add. The version below isn't strictly raw as I added a touch of maple syrup, ground almonds and agave (unless you can get the raw agave version) but hey, just adapt it if that worries you. You can get cacao butter and powder in good health food stores or on-line. They are quite expensive but then the amount of good quality chocolate you can make with it more than makes it cost effective in the long run. The steps below look wordy and involved but that's because I am! 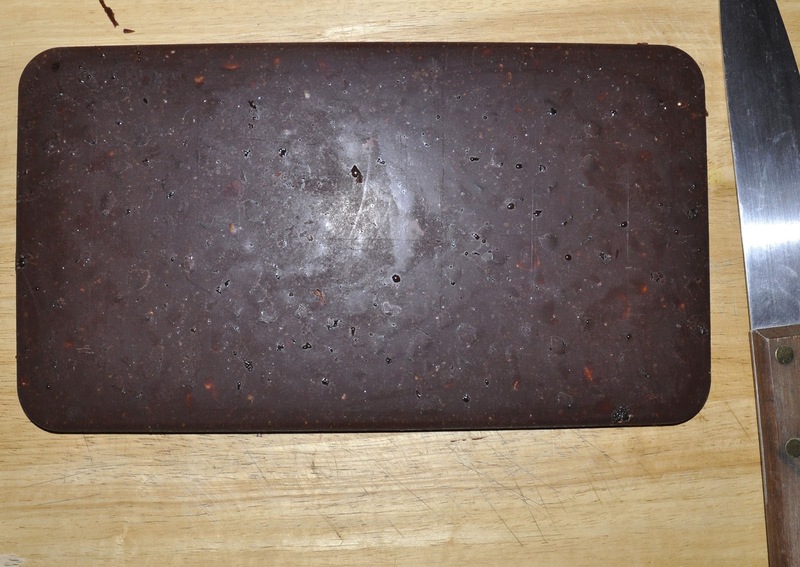 Really it is just a case of melting your cacao butter, stirring in the rest of the ingredients and pouring into a mould. It really is that easy and once you get a feel and taste for it, just experiment! 1. Melt the cacao butter in a bowl over another bowl or saucepan of hot water. This is better done gently so don't do it on the stove top or anything. It may take 30 minutes, so go have a cuppa whilst you wait or bash up some nuts in preparation for adding them in later. 2. Once completely melted, thoroughly stir in the ground almonds, cacao powder, agave/maple syrup and salt. 3. Now add in your chosen selection of fruits and/or nuts. I haven't put a quantity down for this because I just stir them in until I feel it is enough for my liking on that particular day. Some days I feel a little more nutty and other days, well, it's the fruity option I prefer!! Last time I made it I added some raisins and a few slightly bashed up hazelnuts. It also depends on what is currently in our fruit and nut store and whether I have remembered where I have buried them. 4. Select an appropriate vessel to mould your creation. Less chunky versions work well in bar moulds and made into delightful little bars wrapped up in greaseproof paper like the photo at the top. The last time I made it I was in the mood for a big old slab so simply grabbed the nearest shallow cake tray and tipped it into that. Whatever you choose, give it a wiggle and/or a bash on the counter to seal it around the edges and get rid of any air bubbles. Then simply pop it into the freezer for 30 minutes to an hour. If you are like me you may forget about it for longer but that doesn't matter. When you do remember, simply un-mould by peeling off the silicone moulds or tapping the tin on a work surface. 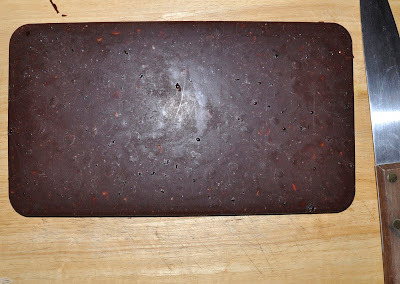 Out pops your chocolaty creation ready for chopping up into whatever size chunks you wish to devour it in. Cornwall Vegans - For all things vegan in Cornwall! Who Ate All The Kale Chips? Driftwood Vegans. Watermark theme. Powered by Blogger.